Are we supposed to laugh or cry? Assuming the board did want a change why, why, WHY, could they not wait one month? You are absolutely right, only a madman would even consider taking the job now. Once more unto the breach Gaz! What a joke this is. Qblock Pete made a website out of what Gianni (allegedly) tells him in regards to the players and yet he is still our director of football in charge. 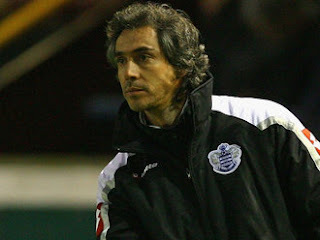 This sacking is purely because Paulo Sousa dared to stand up to the divine Briatore. Flavio you helped this club to keep going when you, bernie and the Mittals came in, but this is not your club, it is not your plaything, and it is not something to boost your ego. This is QPR, This is the Supporters club and you need to remember that, if you wnat your "project" to succeed.